STARKVILLE, Miss. -- Pond and lake owners frequently seek help to control unwanted pests in and around their water, such as turtles, beavers, muskrats, nutrias, alligators and sometime geese. A new lake or pond provides a new habitat for local critters to move into and live. When landowners decide to put a pond or lake on their property, they need to consider control plans for those unwanted visitors because it is only a matter of time until these animals move in and call the body of water home. Turtles are among the most common nuisances. While they usually aren’t a biological problem, turtles become an issue when they consume the food you intentionally feed the fish in your pond. Shooting them, especially on the water, is a safety issue and should be avoided. The bullet can ricochet and end up somewhere that is not desired or safe. Mississippi is home to some protected turtle species, and misidentification can lead to greater issues with the law. Identification of turtles can be difficult from a distance. The most common control is live trapping, but this method requires a permit from the Mississippi Department of Wildlife, Fisheries and Parks. There are many trap designs that can be utilized. The best times for trapping are the warmer seasons of the year. Because turtles are cold-blooded, their activity level is reduced during the cold months. Check traps on a daily basis. Moving trapped turtles to another location requires a permit. Unfortunately, as turtles are removed, more will move in to fill the available space. Exclusion is the best way to keep them out of your pond, but this method can be quite expensive, depending on the size of the area. Other species can present different problems. Take action as soon as levee damage appears. With animals such as nutrias, beavers and muskrats, trapping is the most efficient method of control. You will need to check the trapping regulations before beginning a trapping program. If an alligator takes up residence in a pond or lake, then that problem must be handled differently. The alligator is a protected animal. If you have an uninvited alligator, contact the nearest Department of Wildlife, Fisheries and Parks office to take care of the animal. Many times, these animals are in ponds or lakes because they are suitable places to live and raise young. If the problem seems overwhelming, contact wildlife experts and follow their advice on the best solutions. Contact the county Extension office or the local conservation officer on any legal items that need to be addressed before trapping. The U.S. Department of Agriculture Wildlife Services is another source for advice and/or assistance. They can be reached at 662-325-3014 for guidance through the control process. 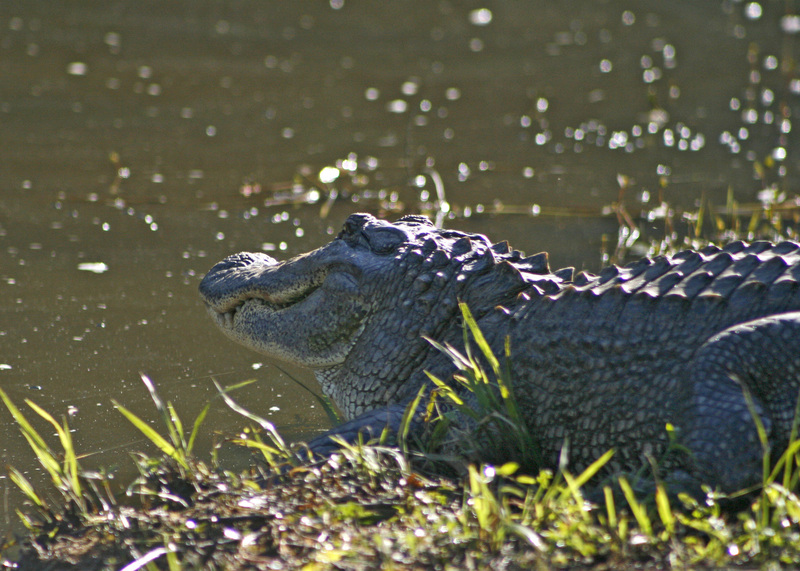 For alligator issues, contact the Mississippi Department of Wildlife, Fisheries and Parks.